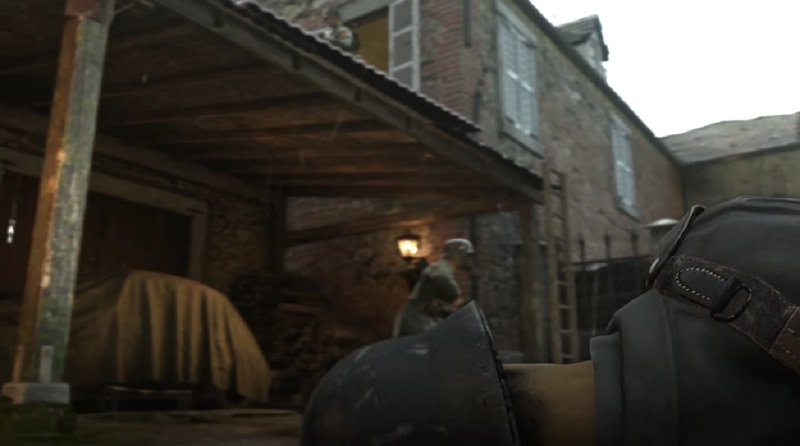 A new trailer has been released by Activision revealing that Carentan, a map from your dad's Call of Duty games, will make a return in Call of Duty: WWII, which releases later this week. Carentan is a map well-remembered by COD fans from the franchise's early years, appearing in both Call of Duty and Call of Duty II. The map will be available on launch day for owners of the Deluxe Edition of Call of Duty: WWII and season pass holders. The Battle of Carentan took place between the U.S. Army and the Wehrmacht during the Normandy offensive of 1944. The battle ended on June 12 when the Nazis were forced to retreat due to a lack of ammunition. The trailer ends with an advertisement for the game's first DLC expansion, The Resistance, which is coming to the PS4 release January 30, with other formats following some time afterward. Call of Duty: WWII launches on PC, PS4 and Xbox One on November 3.